Dean Baker, PhD, co-founded CEPR in 1999. His areas of research include housing and macroeconomics, intellectual property, Social Security, Medicare and European labor markets. He is the author of several books, including Rigged: How Globalization and the Rules of the Modern Economy Were Structured to Make the Rich Richer. His blog, “Beat the Press,” provides commentary on economic reporting. He received his B.A. from Swarthmore College and his Ph.D. in Economics from the University of Michigan. His analyses have appeared in many major publications, including the Atlantic Monthly, the Washington Post, the London Financial Times, and the New York Daily News. He received his Ph.D in economics from the University of Michigan. Dean has written several books, his latest being Rigged: How Globalization and the Rules of the Modern Economy Were Structured to Make the Rich Richer (Center for Economic and Policy Research 2016). His other books include Getting Back to Full Employment: A Better Bargain for Working People (with Jared Bernstein, Center for Economic and Policy Research 2013), The End of Loser Liberalism: Making Markets Progressive (Center for Economic and Policy Research 2011), Taking Economics Seriously (MIT Press 2010) which thinks through what we might gain if we took the ideological blinders off of basic economic principles; and False Profits: Recovering from the Bubble Economy (PoliPoint Press 2010) about what caused — and how to fix — the current economic crisis. In 2009, he wrote Plunder and Blunder: The Rise and Fall of the Bubble Economy (PoliPoint Press), which chronicled the growth and collapse of the stock and housing bubbles and explained how policy blunders and greed led to the catastrophic — but completely predictable — market meltdowns. He also wrote a chapter (“From Financial Crisis to Opportunity”) in Thinking Big: Progressive Ideas for a New Era (Progressive Ideas Network 2009). 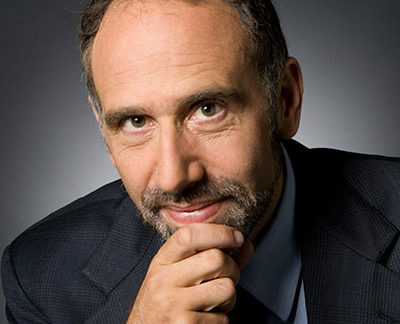 His previous books include The United States Since 1980 (Cambridge University Press 2007); The Conservative Nanny State: How the Wealthy Use the Government to Stay Rich and Get Richer (Center for Economic and Policy Research 2006), and Social Security: The Phony Crisis (with Mark Weisbrot, University of Chicago Press 1999). His book Getting Prices Right: The Debate Over the Consumer Price Index (editor, M.E. Sharpe 1997) was a winner of a Choice Book Award as one of the outstanding academic books of the year. Among his numerous articles are “The Benefits of a Financial Transactions Tax,” Tax Notes Vol. 121, No. 4 (2008); “Are Protective Labor Market Institutions at the Root of Unemployment? A Critical Review of the Evidence,” (with David R. Howell, Andrew Glyn, and John Schmitt), Capitalism and Society Vol. 2, No. 1 (2007); “Asset Returns and Economic Growth,” (with Brad DeLong and Paul Krugman), Brookings Papers on Economic Activity (2005); “Financing Drug Research: What Are the Issues,” Center for Economic and Policy Research (2004); “Medicare Choice Plus: The Solution to the Long-Term Deficit Problem,” Center for Economic and Policy Research (2004); The Benefits of Full Employment (also with Jared Bernstein), Economic Policy Institute (2004); “Professional Protectionists: The Gains From Free Trade in Highly Paid Professional Services,” Center for Economic and Policy Research (2003); and “The Run-Up in Home Prices: Is It Real or Is It Another Bubble,” Center for Economic and Policy Research (2002). Dean previously worked as a senior economist at the Economic Policy Institute and an assistant professor at Bucknell University. He has also worked as a consultant for the World Bank, the Joint Economic Committee of the U.S. Congress, and the OECD’s Trade Union Advisory Council. He was the author of the weekly online commentary on economic reporting, the Economic Reporting Review (ERR), from 1996–2006.